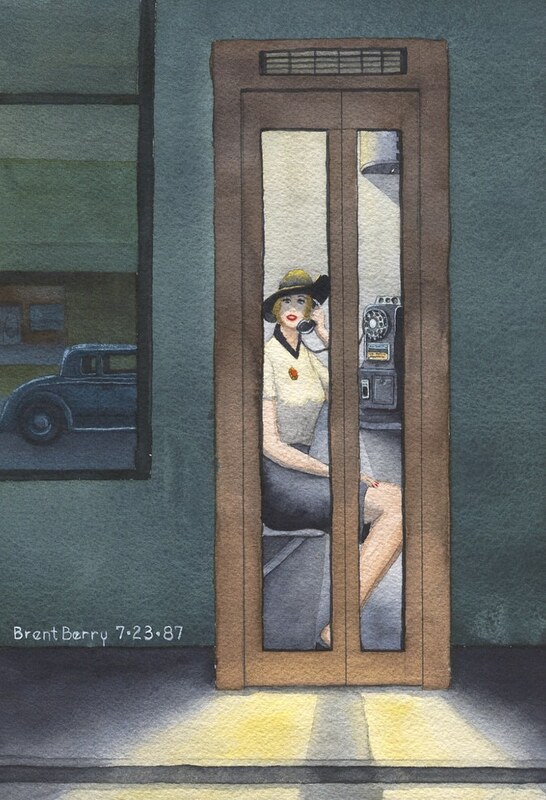 Lady In a Phonebooth - A small 1930's night scene. Signed LTD edition prints in a series of 1000 prints. This piece simply reflects my love for the 1930's. I used to have 2 of these late 1930's phonebooths. Printed on quality heavy acid free stock. 7 1/4" X 10" $30.